How was your weekend? I was busy with a 1/2 marathon, a mud run, and so much more, so I’m enjoying the ability to rest! The previous Memorial Day weekend for me was fantastic. I hope you had a wonderful time too! Now that I’m back to reality, I’m thinking about June, a new month to set some goals and finish the year strong! I’m linking up with the Weekly Wrap hosted by Holly and Tricia, a great way to motivate and encourage women in with their health and fitness goals! And for the first time, I’m joining Ange from Cowgirl Runs for her Monthly Goals linkup! It’s crazy for me to think that this year is halfway over. Time flies when you’re having fun, right? 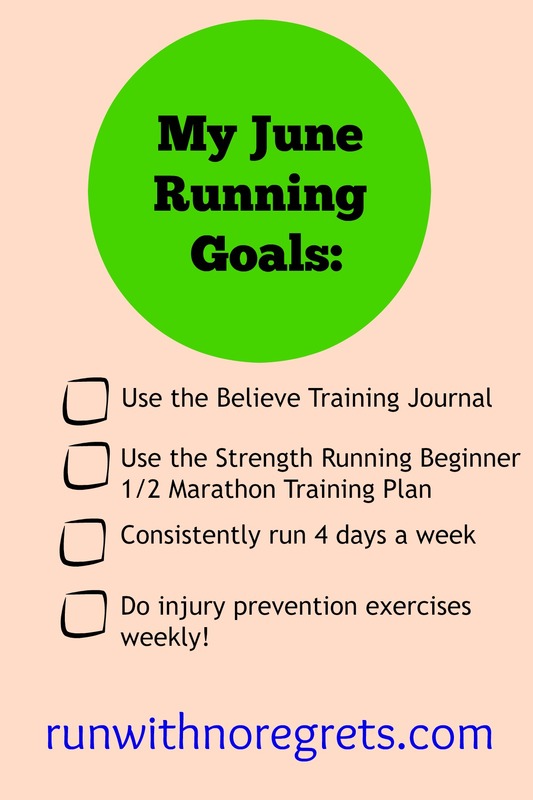 Since we were approaching June, I thought now would be a good time to check my progress on my New Year’s Resolutions for 2016, plus get back on track with my running as I get closer and closer to marathon training in August. If you saw my post from January, I set a LOT of goals for this year. Instead of going through each one, I’ll share a few highlights of which ones have gone well, which ones haven’t, and what I plan to do for the rest of the year. Be a great race ambassador. I feel like I’m always talking about this, but it’s been such a rewarding experiencing being a race ambassador, and I work my hardest to do it justice! Make strength training part of my running routine. This has been going great due to my yoga, boot camp, and weight training classes at work. I really believe it has made me a stronger and faster runner! Lessen the sugary sweets, goodbye Twizzlers! Somehow, I really have cut back on the sweets! It’s hard sometimes, but I’ve been able to resist most temptations. And I haven’t had a taste of Twizzlers in weeks! Don’t deal with nonsense. I have to say this year has been pretty much drama-free, which is a huge blessing! A friendship had to be let go in the process, but I know that it was the right decision for my well-being. Build community. This is related to the blog. It’s been a slow growth, but I’ve been excited to get so many great emails from my blog subscribers! I send a weekly RSS feed, but at the beginning of each email, I create a unique running mini-post with tips and motivation. Here’s an example of what I send out if you’re interested in signing up! Create a meal planning routine and stick with it! I think you guys have seen that this has been a struggle. But I still haven’t given up! My cooking challenge with my sister keeps me on my toes, and I love being in the kitchen. Treat myself. I’ve been really bad at this. Self-care is so important, but I don’t invest the time or money into it. As my job grows more stressful, I know this will need to be a priority. Any tips on self-care? Improve my time management. This is related to blogging. I haven’t really been using my blog planner the way I wanted to, and I miss being a couple of weeks ahead. Time to get back on track! Guest post more frequently. I haven’t written a guest post all year! I guess I just haven’t had the motivation, though it is still something that I want to do. Stay focused. Also related to the blog, I have really struggled with what my main goal is for 2016. I am always looking for ways to grow this space, but there are too many shiny objects distracting me. I need to do another big email subscription purge…too many bloggers trying to sell me something! So overall, I think I’m off to a great start! For June, I plan to keep up with cooking, dedicate more time on the blog and my vision for success, and head to the spa and nail salon to treat myself! Make the most of my Believe Training Journal. I’m really excited to be starting with this new journal and hope that it will chronicle my progress over the next year. Obviously I love writing, so I look forward to using it to its full potential! Use a Beginner 1/2 Marathon Training Plan from Strength Running. Starting the first full week of June, I will use the plan over 8 weeks to help build my base mileage for Philly Marathon training in August. I’ll be sharing my workouts and progress here on the blog, of course! Consistently run 4 days a week. This has been my sweet spot for training so it’s time to get back in the rhythm! Do injury prevention exercises weekly! I’ve been doing great health-wise, but with increasing my mileage, I need to make sure I’m taking good care of my weak spots: hips, shins, and core. This means I’ll need to do more bridges, lunges, single-legged squats, and planks when I’m at home! Monday 5/23: Much-needed yoga class after what I put my body through at the KOP 10 Miler! The strangest thing was that I struggled with Warrior I pose…I could not get my hips to face the room properly. Tuesday 5/24: I went for a 4-mile run after work. The weather was super warm, I wore my new New Balance outfit, and the trail wasn’t too crowded! Unfortunately, this was a really rough run, maybe because of the humidity and some fatigue from Sunday’s race. I had a mile split that was over 12 minutes…crazy! Wednesday 5/25: I thought I would go for a run before work, but I was too tired. I did go for a 1-mile walk while at work then went to weight training in the evening. It’s our last class with Carlos so I’m sad! We worked on shoulders and triceps…I felt the burn! Thursday 5/26: I got in that run before work! It was in the low 60’s and felt great at first, but then it quickly became humid. But I was happy to get in 3 miles! In the evening, we had our softball game and won! I always enjoy sprinting to first base! Friday 5/27: On the road heading to Maine! When we made it in, we did a hike in the evening near our campsite. We had some amazing views! Saturday 5/28: We went hiking in Acadia State Park. It was one of the most amazing experiences with incredible views that I can’t describe in words. It was also a pretty decent workout! Sunday 5/29: Lots of walking around in coastal Maine. There are so many cute towns! We had a really fun time. Monday 5/30: I didn’t get to run in Maine, but once we got back, Bret was able to convince me to run for a little under 4 miles. It was so tough in the heat and humidity! Tuesday 5/31: Another softball game! It was great to be playing again so soon. This time, I got 2 hits and made it home. And we won! Could I actually be improving? I feel more focused and slightly more confident in my abilities! Wednesday 6/1: Global Running Day! Had a fun time running with City Fit Girls, ended up with a total close to 4 miles. Thursday 6/2: I took it easy, only going for a 1-mile walk at work. My calves were extremely tight, and I iced my right knee in the morning. Friday 6/3: Once again I took it easy and did some light stretching. I wore my compression socks overnight to help ease my shins and calves before Saturday’s race. Saturday 6/4: The 1/2 Sauer 1/2 Kraut Half Marathon! I’ll be sharing my full recap on Tuesday! Sunday 6/5: I ran the Muckfest MS mud run. It was definitely my muckiest mud run ever! 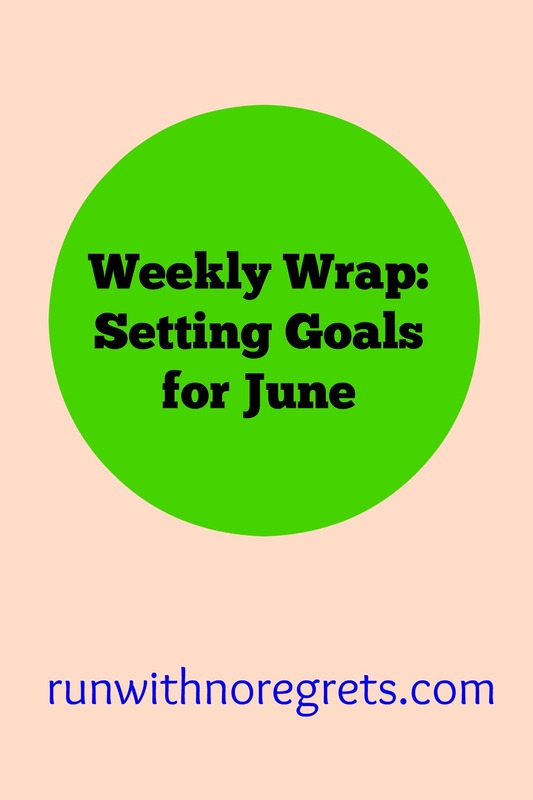 What goals do you have for June? Have you kept up with your New Year’s Resolutions?